A campus police officer told student Ivette Salazar she has freedom of speech only if Joliet Junior College approves it. CHICAGO, Jan. 11, 2018 — Joliet Junior College student Ivette Salazar only wanted to do what Americans do every day: exercise her First Amendment right to respond to an opposing viewpoint. For that, campus police detained her, confiscated her political flyers, and told her she has freedom of speech only if JJC gives its approval. That’s not how the First Amendment works, and that’s why Salazar filed a lawsuit today against JJC. The lawsuit is the latest for the Foundation for Individual Rights in Education’s Million Voices Campaign, which aims to free the voices of one million students by striking down unconstitutional speech codes nationwide. When Salazar asked the officers detaining her about her free speech rights, she said one JJC police officer told her, “If you want to go ahead and post your flyers and burn your crosses, you have to get it approved” by the school. Her flyers were confiscated to ensure that she did not distribute them on campus. FIRE wrote to JJC President Judy Mitchell on Dec. 4 to demand that the college comply with its legal obligations as a public institution bound by the First Amendment. JJC did not respond to the concerns raised in the letter. As part of her lawsuit, Salazar challenges the constitutionality of JJC’s “Free Speech Area” policy. 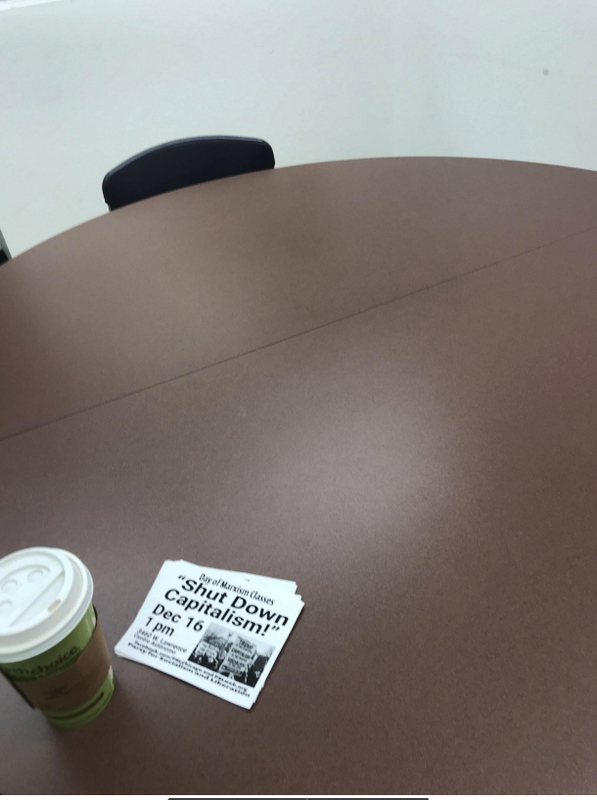 The policy restricts expressive activity to one small, indoor area of campus, requires students to request use of the area five business days in advance, requires students to disclose the purpose of their speech, allows for only two people to use the area at a time, and requires students to remain behind a table. If a student wants to distribute literature while in the area, he or she also has to get the materials approved by administrators ahead of time. Salazar’s lawsuit also alleges that JJC violated her Fourth Amendment rights by unlawfully detaining her. Today’s lawsuit was filed in partnership with FIRE Legal Network member and former president of the First Amendment Lawyers Association Wayne Giampietro of Poltrock & Giampietro in Chicago. Giampietro serves as co-counsel with FIRE in the case. If you are a student who has been censored on campus, FIRE and its Legal Network partners stand ready to protect your First Amendment rights in court. Students interested in submitting their case to FIRE’s Million Voices Campaign may do so through FIRE’s online case submission form. Attorneys interested in joining FIRE’s Legal Network should apply on FIRE’s website.